For the second year running the North-West University (NWU) – in collaboration with the Department of Higher Education and Training (DHET) – hosted a very successful Student Entrepreneurship Week. The Student Entrepreneurship Week (SEW) initiative came about in 2017 and represents a national campaign for entrepreneurship development which is aimed at supporting all undergraduate students who are considering entrepreneurship as a future career. 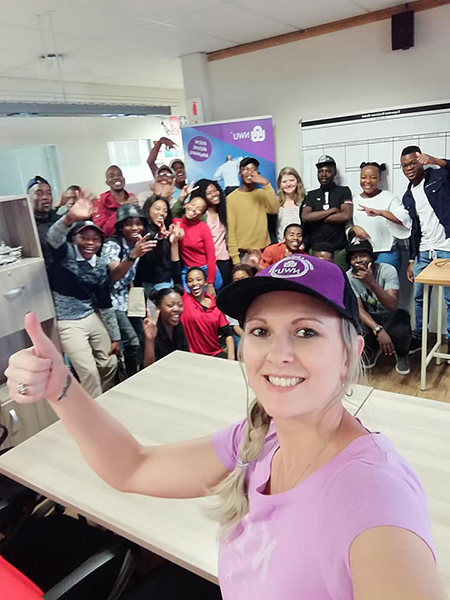 This year’s rendition of the initiative saw the bhive Enterprise Development Centre (EDC) on the NWU’s campus in Vanderbijlpark presented a full programme to motivate both start-up and already successful student entrepreneurs. The campus programme consisted of four sub-programmes, aptly named: Let’s make a difference in our community, Let’s have some fun, Let’s get serious and Let’s get creative. Participating students joined the bhive EDC team in an outreach programme in Sharpeville. 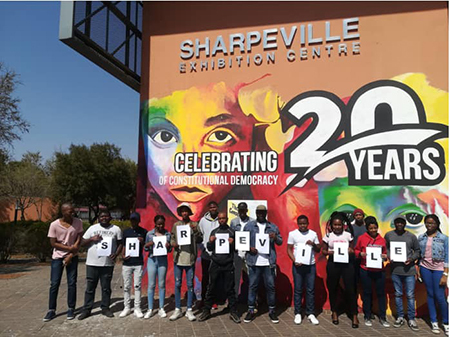 The activities included a guided tour of the iconic township and a brainstorming session on how to best address some of the daily socio-economic challenges facing Sharpeville. Following the outreach, students were afforded an opportunity to pitch their respective business ideas – as it pertains to the socio-economic challenges of the well-known township – to a panel of experts, representative of academia, the community and industry. Various fun and interactive activities saw to it that students from all faculties have the opportunity to connect with each other. The activities included challenges such as: fill the balloon bucket, memory quizzes, FIFA Challenge and Twister. The activities took place on the lawn embankment in front of Building 6 drew a lot of attention and many students enjoyed in the fun between classes. Students who had an idea for a new business benefitted from the following workshops: Idea Generation, Idea to Concept and Pitching Training. By means of these workshops students were guided to not only understand the key challenges of launching a start-up venture, but also acquire skills such as idea creation, market research and the development of a sound business plan. Apart from teaching students valuable business skills the workshops also taught the students how to cultivate an entrepreneurial mind-set. One of the highlights of the week were a Student Peer-to-Peer Seminar during which experienced student entrepreneurs shared their skills and success stories. The line-up of the event included: Malcom Crellzy X (model and entrepreneur), Boitumelo Mofikoe (co-founder and managing director of MyGrowthFund, founder and CEO of BM Ventures) and Thato Moeng (Muffineers). Together, the students focused on topics such as personal branding, building your vision and leadership. The afternoon session saw several experts and mentors take to the floor to share some much-needed expertise and lessons learnt. These mentors include Dr Joe Molete (life coach and strategist), Dr Lucas Moloi (president of the SA Institute of Quality and Innovation and founder of the Learning Eagles School of Entrepreneurship) and Florence Ndlovu (founder of Rebels Pizza, prime impression consultant and ‘hustlepreneur’). Ms Natanya Meyer and Dr Clarise Mostert with some of the SEW2018 attendees. SEW2018 participants at the Sharpeville Exhibition Centre.